Lichtenvoorde is a town in the Netherlands, in the municipality of Oost Gelre. Oost Gelre is a municipality in the Achterhoek, in the eastern Netherlands. On 1 January 2005, the municipalities Groenlo and Lichtenvoorde merged and formed the new municipality Oost Gelre, which was called Groenlo until 19 May 2006. Until 1 January 2005, Lichtenvoorde was an independent municipality. It includes also four small villages: Lievelde, Zieuwent, Vragender and Harreveld. The number of inhabitants in this municipality is about 20,000. Lievelde is a small village in the province of Gelderland, in the eastern part of the Netherlands. It is located in between the two towns of Groenlo and Lichtenvoorde. The population of Lievelde has been estimated at 1,516. The people from Lichtenvoorde are known as the keienslöppers (boulder haulers). The name is derived from a huge boulder at the marketplace with a stone lion on top. These are the symbols of the village. In geology, a boulder is a rock fragment with size greater than 25.6 centimetres (10.1 in) in diameter. Smaller pieces are called cobbles and pebbles. While a boulder may be small enough to move or roll manually, others are extremely massive. In common usage, a boulder is too large for a person to move. Smaller boulders are usually just called rocks or stones. The word boulder is short for boulder stone, from Middle English bulderston or Swedish bullersten. A market, or marketplace, is a location where people regularly gather for the purchase and sale of provisions, livestock, and other goods. In different parts of the world, a market place may be described as a souk, bazaar, a fixed mercado (Spanish), or itinerant tianguis (Mexico), or palengke (Philippines). Some markets operate daily and are said to be permanent markets while others are held once a week or on less frequent specified days such as festival days and are said to be periodic markets. The form that a market adopts depends on its locality's population, culture, ambient and geographic conditions. The term market covers many types of trading, as market squares, market halls and food halls, and their different varieties. Due to this, marketplaces can be situated both outdoors and indoors. Lichtenvoorde is known for its flower parade (bloemencorso) which is held once a year in September, as start of the local fair. The parade features large vehicles, as wide as 4 m, as high as 8 and with no length restrictions, which are fully covered in flowers (usually dahlias). Subjects are free and range from depiction of fairytales to expressions, daily things to art. Dahlia is a genus of bushy, tuberous, herbaceous perennial plants native to Mexico. A member of the Asteraceae, dicotyledonous plants, related species include the sunflower, daisy, chrysanthemum, and zinnia. There are 42 species of dahlia, with hybrids commonly grown as garden plants. Flower forms are variable, with one head per stem; these can be as small as 5 cm (2 in) diameter or up to 30 cm (1 ft). This great variety results from dahlias being octoploids—that is, they have eight sets of homologous chromosomes, whereas most plants have only two. In addition, dahlias also contain many transposons—genetic pieces that move from place to place upon an allele—which contributes to their manifesting such great diversity. Lichtenvoorde has its own motorcross circuit on which international grand prix are held. This Gelderland location article is a stub. You can help Wikipedia by expanding it. Groenlo is a city in the municipality of Oost Gelre, situated in the eastern part of the Netherlands, on the German border, within a region in the province of Gelderland called the Achterhoek. Groenlo was a municipality until 1 January 2005, when it merged with Lichtenvoorde. Until 19 May 2006 Groenlo was the official name of Oost Gelre. As of 1 January 2006 Groenlo, including its hamlet Zwolle, counted a population of 10,067. Groenlo is known locally and historically as Grolle, Groll or Grol. Schipluiden is a village in the western Netherlands, in the province of South Holland. It is the seat of the council of the municipality of Midden-Delfland. Eefsele is a town in the Dutch municipality of Oost Gelre, a part of the province of Gelderland. Lestock is a village within the Rural Municipality of in the province of Saskatchewan, Canada. Lestock had a population of 95 in the 2016 Canada Census,. Sanad is a village located in the Čoka municipality, in the North Banat District of Serbia. It is situated in the Autonomous Province of Vojvodina. The village has a Serb ethnic majority and its population numbering 1,314 people. Sanad is mostly agricultural village and it is located at the left bank of the river Tisa. Nikolausberg is a northeastern borough of the university town of Göttingen, Germany. Its name derives from a legend according to which three pilgrims came to the church in 999 AD, of whom one left relics of Nicholas of Myra following his death there. However, the name Nikolausberg has apparently been used only from the 17th century. The village was originally known as Ulrideshusen, with other variants recorded as Adelratheshusen, Ulradeshusen, Olerdeshausen, and Olrikshusen. Vojany is a village and municipality in Michalovce District in the Kosice Region of eastern Slovakia. Dúbrava is a village and municipality in Levoča District in the Prešov Region of central-eastern Slovakia. Oost is a village in the south of the Netherlands. There it is situated near the "Maas" ("Meuse") river in the southwestern part of the province of Limburg. Alsunga is a village in Alsunga Municipality, Latvia. Alsunga is the center of the Suiti people – a small Catholic community in the Lutheran western part of Latvia. There are approximately 1345 inhabitants in Alsunga. Bavel is a village in the southern Netherlands. It is located in the Dutch province of North Brabant, largely within the municipality of Breda with some rural areas in the municipality of Alphen-Chaam. Dúrcal with a population of 7,286 (2012) is a Spanish municipality located in the north-eastern part of the Valle de Lecrín in the Province of Granada, in the autonomous community of Andalusia, one of the 51 entities that make up the metropolitan area of Granada. It borders the municipalities of Dílar, Lanjaron, Nigüelas, Villamena, and the Padul. Other nearby towns are Padul and Mondújar. The council consists of durqueño nuclei Dúrcal, which is the capital district Lecrín Valley, and Marchena. Much of its township is located in the Sierra Nevada National Park. 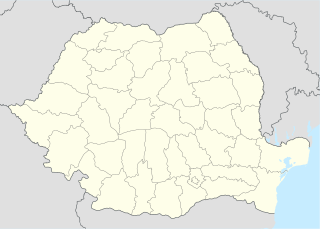 Știuca is a commune in Timiș County, Romania. It is composed of four villages: Dragomirești (Dragomirest), Oloșag (Ollóság), Știuca and Zgribești (Krassógombás).